Christmas pajamas aren't for everyone. Although always festive and stinkin' cute, a candy cane print thermal onesie might not be the best outfit for your son to sport on Christmas Eve. If Santa hats and overly-decorated ugly sweaters aren't his cup of tea (they can be very itchy on sensitive skin), then he might feel more comfortable wearing a sophisticated ensemble; something that says, "I'm old enough to stay up late on Christmas Eve, but I'm still young enough to race down the steps for presents on Christmas morning." 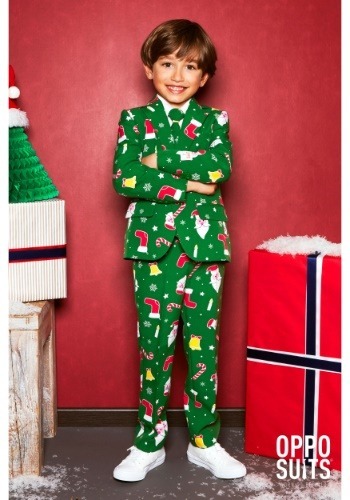 Outfit your little guy in a holiday-print Opposuit and he'll light up like the gold star on top of your tree. Not at all itchy or uncomfortable, this 3 piece suit comes with a jacket, pair of pants, and a necktie. 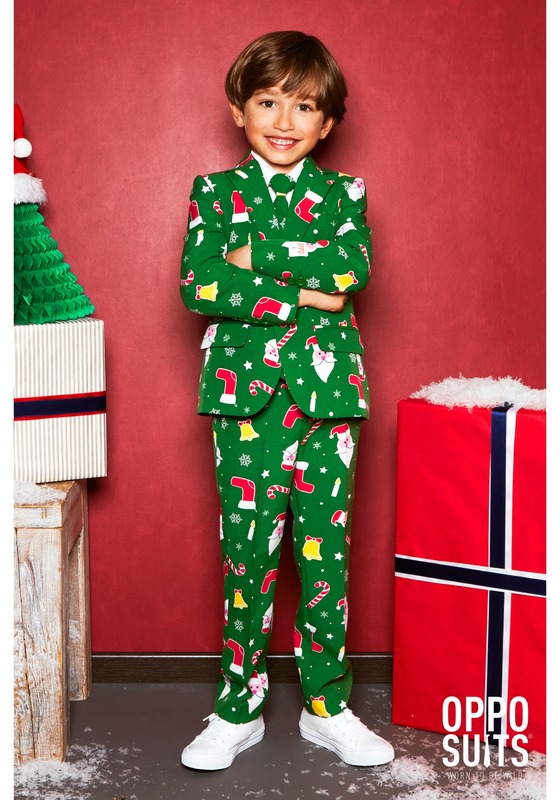 Perfect for dapper little dudes, this ensemble all features the same festive print featuring a bell, stocking, candy cane, snowflakes, and the one and only Santa Claus. The suit jacket is fully lined and sports faux-pocket flaps and a fashionable single button. The pants fasten via a zipper and button/hook closure, while the matching tie easily clips onto any dress shirt. It's perfect for self-sufficient boys who insist on dressing themselves. 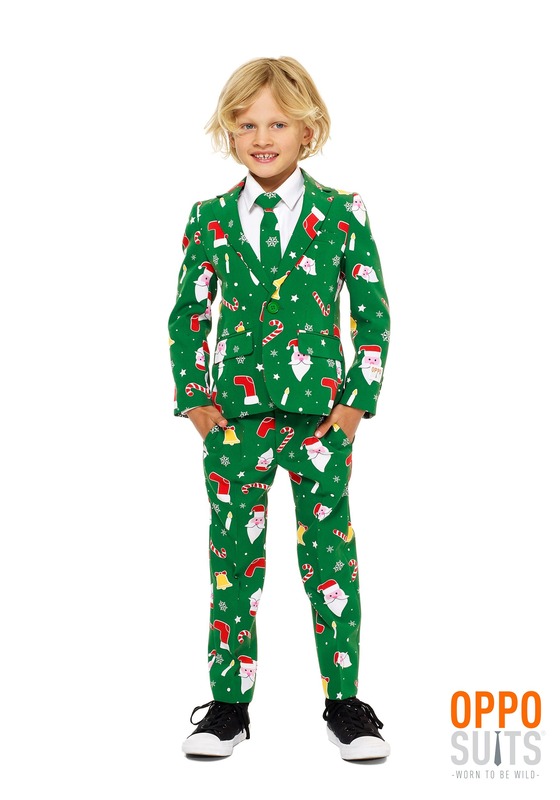 He'll love wearing the Santa Boss suit to the mall to take a picture with Santa or to grandma's house for some pumpkin pie-baking gingerbread house-making. 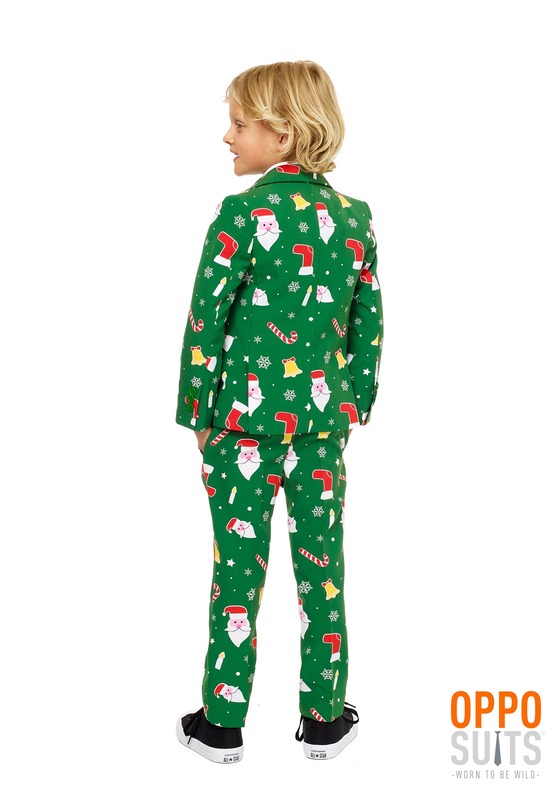 We advise wearing an apron because you don't want to get icing on this snazzy yuletide suit.